Intel® Optane™ technology provides an unparalleled combination of high throughput, low latency, high quality of service, and high endurance.1 Check out the video to see how new computer architectures are unleashing unprecedented possibilities from data center to desktop. Every day, the amount of data created across the world is exploding to new levels. Enterprises and cloud service providers thrive on this data to make critical decisions, gain new insights from the data, and differentiate services. But, today’s current storage technologies leave a technology gap in data storage tiers. DRAM is far too expensive to scale and while NAND has the capacity and cost structure to scale, it lacks sufficient performance to function in the memory space. To address the gap, a storage solution that behaves like system memory is needed. The Intel Optane™ SSD DC P4800X is the first product to combine the attributes of memory and storage. With an industry-leading combination of high throughput, low latency, high QoS and ultra-high endurance, this innovative solution is optimized to break through data access bottlenecks by providing a new data storage tier. The DC P4800X accelerates applications for fast caching and fast storage to increase scale per server and reduce transaction costs for latency sensitive workloads. In addition, the DC P4800X enables data centers to deploy bigger and more affordable datasets to gain new insights from large memory pools. Realize breakthrough application performance with the DC P4800X. It is designed to deliver 5-8x faster performance at low queue depth workloads,2 exhibiting extremely high throughput for single accesses and super low latency. Where NAND-based SSDs are often measured at a queue depth of 32 (SATA) or 128 (NVMe*) in order to showcase maximum throughput, the DC P4800X can reach as much as 500,000 IOPS, or ~2GB/s, at a queue depth of 11.1 This new technology is perfectly suited to accelerate enterprise applications to new, breakthrough levels of performance. With a new data storage tier created by Intel Optane™ technology, data centers can consistently realize amazing response times under any workload. With NAND-based SSDs, random write operations require an immense amount of background media management. These tasks can add significant delay to the read operations. The Intel Optane™ SSD DC P4800X maintains consistent read response times regardless of the write throughput applied to the drive. Read response times remain below <30μs while withstanding up to 2GB/s of random write pressure. In an environment of fast growing data and ever demanding needs, data centers must deploy solutions that enable predictably fast service. The DC P4800X is ideal for critical applications with demanding latency requirements. Its 99% read response time is 60x that of a high-endurance NAND SSD under random write workload.4 Optimized to minimize delays in data access times, the DC P4800X results in faster time to insight for decision making. Endurance affects the life expectancy and costs of enterprise SSDs. The DC P4800X is designed for high write environments, and can withstand intense write traffic that is typically demanded of memory. With its extremely high endurance, the life of the DC P4800X is extended, making it suitable for write-intensive applications such as online transaction processing, high performance computing, write caching and logging. Data centers can explore two key use cases for the DC P4800X: fast storage or cache, or extended memory. Fast storage or cache refers to the tiering and layering which enable a better memory-to-storage hierarchy. The DC P4800X provides a new storage tier that breaks through the bottlenecks of traditional NAND storage to accelerate applications, and enable more work to get done per server. The extended memory use case allows an Intel Optane™ SSD to participate in a shared memory pool with DRAM at either the OS or application level enabling bigger memory or more affordable memory. Bigger memory dramatically increases the size of ‘working sets’ to enable new insights from data in growing segments such as scientific computing, healthcare, and autonomous driving. More affordable memory means data centers can use Intel Optane™ SSDs to displace some DRAM. 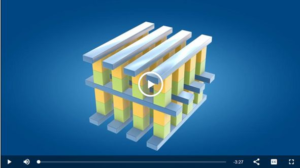 Intel Optane™ technology is a unique combination of 3D XPoint™ memory media with Intel’s advanced system memory controller, interface hardware, and software IP. This revolutionary technology is offered in several form factors to unleash vast system performance in a range of products. 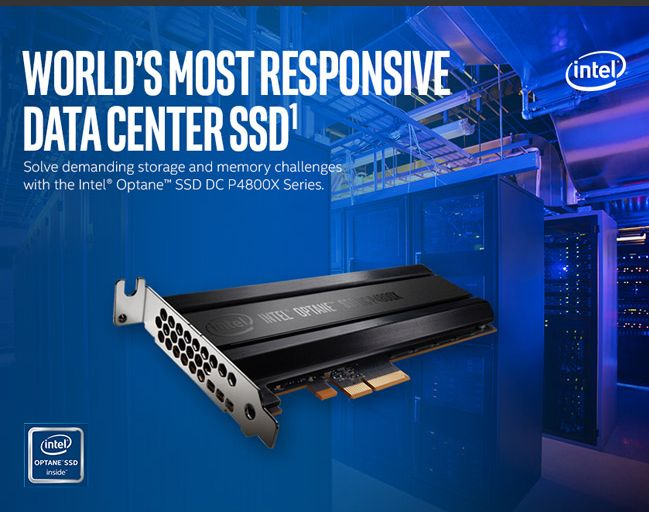 In the Intel Optane™ SSD DC P4800X, the revolutionary Intel Optane™ technology delivers the unparalleled combination of high throughput, low latency, high QoS, and ultra-high endurance. To try out and evaluate the Intel Optane™ SSD DC P4800X Series Card, please contact our Sales Department at 888-296-3350 Ext 701 or contact mjovile@myalttrix.com for an evaluation form. Evaluations and demos are for corporations IT department only. Restrictions do apply. A corporate credit card will be needed for security purposes.